Getting into metal detecting is something that I highly recommend. Many people think it is a hobby just for old guys, but i’m here to tell you that it is something for anyone or any age. I myself have been interested in metal detectors and treasure hunting for about 10 years, and was first introduced to it by my father who was far more interested in the electronics side of the metal detectors than the actual detecting itself. Treasure hunting is a great hobby to get involved with. It is one of the few hobbies where you can actually turn a profit whilst participating. The basic idea behind treasure hunting is to use a metal detector to find things hidden in the ground. Now that is a really simplified version of what treasure hunting is all about, as there are just so many things you can go hunting for, and there are so many different metal detectors on the market that are purpose built for particular types of treasure. Treasure hunting involves a lot of patience and getting very dirty – so it isn’t going to be for everyone. I liken it a lot to fishing – some days you will spend all day out in the sun and get nothing, other days you will catch heaps of stuff. No matter what you get though, you will always come home smelling badly. Metal detecting is the same – some days you will find nothing, other days you will find something every few steps. No matter what type of day you have, you will end up dirty and in need of a warm shower or bath at the end of the day. Getting started with metal detecting is actually really simple. There are heaps of really cheap metal detectors that are perfect for someone just starting out, although if you enjoy yourself and want to get into metal detecting more seriously, you will find the cheaper detectors have many limitations and you will likely be upgrading before too long. Now before I get into the detail of treasure hunting for particular items, I thought I would note that there is no one magical “best metal detector”, and anyone who tells you otherwise hasn’t got a clue what they are talking about. There are just so many different use cases for metal detectors that it is impossible to say that just one is the best metal detector. 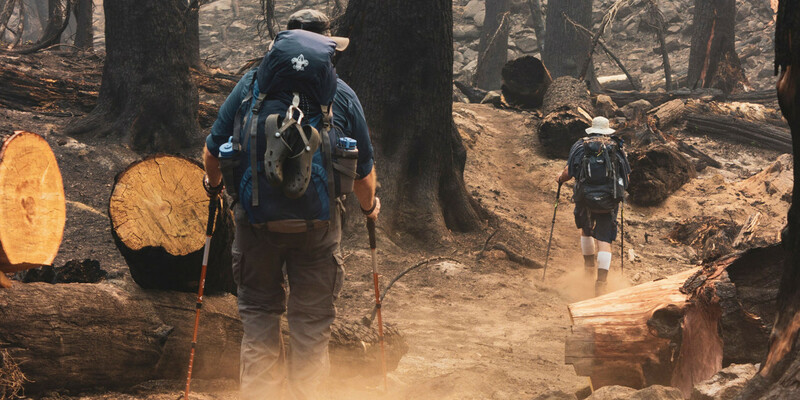 Instead you will find that there are plenty of different options to choose from, and depending on what you are hunting for, will depend on the best type of metal detector for you to use. So lets get into the main types of treasure hunting activities and the metal detectors that I personally use and recommend to others. I personally enjoy hunting for gold more than anything else. I guess it is the allure of finding that one big nugget that will change my life for the better. Unfortunately gold nuggets are as rare as hens teeth, and you will spend most of your time digging up cans, spoons and almost anything that isn’t gold. You can increase the odds though by purchasing a metal detector that is specifically tuned for gold or has good gold hunting capabilities. When it comes to hunting for gold I normally use either the Garrett AT Pro, the Garrett AT Gold or the Garrett ATX. I really like each of these metal detectors when it comes to nugget hunting. You might have noticed that they are all Garrett metal detectors. The reason for that is that I prefer Garrett detectors over most of the other brands. The main reason is because Garrett machines are the ones I was brought up using. I am comfortable with the simple display and the easy navigation and settings. Many people prefer the Fisher or Minelab detectors for gold hunting, and they are great (particularly the GPX 5000), I just haven’t got as much experience with them as I do the ones I’ve already mentioned. When I first started metal detecting I did so by hunting coins, and most of my treasure hunting friends still primarily go after coins. This can be very addictive, particularly if you find a good spot that yields quite a few rare or interesting coins. Because coin shooting is so popular among treasure hunters there are lots of purpose built metal detectors that have great coin shooting features. The other great thing about coin shooting metal detectors is that many of the good ones don’t cost all that much to buy. Some of the best coin shooting metal detectors that I have used include the Fisher F22, the Garrett ACE 250 and my Garrett AT Pro. The F22 and the ACE 250 are only a couple of hundred dollars, while the AT Pro is closer to $600 (but the AT Pro is far better at a lot more things than the F22 or the ACE 250). I don‘t actually know many people who set out to find Jewelry, however i can almost guarantee that if you have been in the game for a few months that you will have come across the occasional ear ring, necklace or gold ring. For whatever reason, there seems to be quite a lot of jewelry that people simply lose or leave behind. One of the best places to find jewelry is under the sand at the beach or just into the water. I suspect that people take their jewelry off before going for a swim and then just knock it off their towel or have it slip off their hands in the surf. Regardless of the reason, there is plenty of lost jewelry just waiting to be found. When it comes to the best metal detectors for finding jewelry then things get a little tricky. Something that you will want to be aware of if you do decide to go treasure hunting at the beach is that not all metal detectors are water proof, and of those that are, not all are able to be used in salt water. So be careful if you decide to do some underwater metal detecting. Having said that, the metal detector that I always use when going to the beach is my Garrett AT Pro. 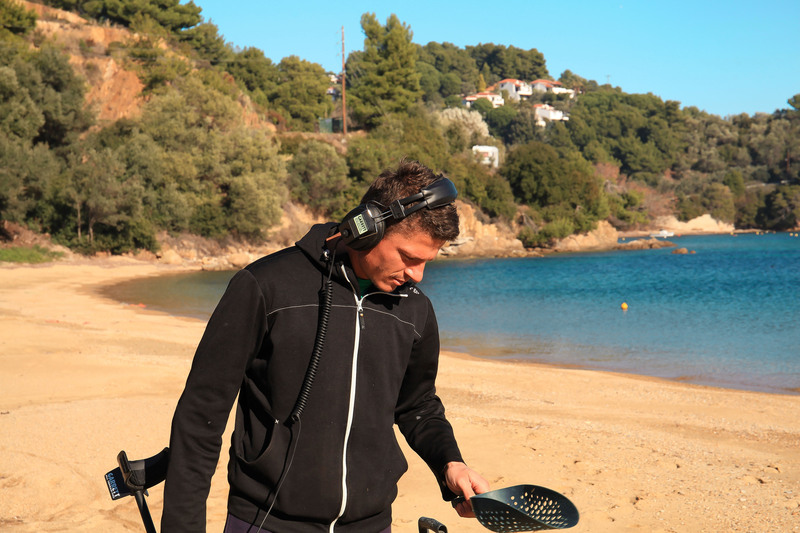 It is a beast in the sand or under the water – just make sure you buy waterproof headphones, as the ones that come with the AT Pro aren’t waterproof – you have been warned. The only other metal detector that I have experience with at the beach is the Garrett ACE 350 and it performed really well, and at half the price of the AT Pro, it might be just what you are after. There is nothing quite like finding a piece of history that has been buried for decades (or longer). Knowing that you have just unearthed something that hasn’t been seen for years and years is just one of the most exciting parts of this hobby. Unfortunately I don’t have a lot of experience with hunting relics as they are quite scarce where I live, however, if you do happen to live somewhere that is rich in history then I am sure there are plenty of undiscovered treasures just waiting to be discovered. Please do remember though that relics are important artifacts and they should be treated with the utmost care and attention. Destroying a piece of history is not what relic hunting is about, nor is profiting from it. Relic hunting is about learning the history of an item and bringing it to light for everyone to enjoy. When hunting for relics you will really need to know what you are looking for to know what detector is the best one for the job. Think about the type of soil you will be hunting in and what your target metal is likely to be. For these reason I cannot really give you a specific detector to use, but I do know that all the top level detectors will not fail you. Detectors like the Garrett ATX, Minelab eTrac and GPX 5000 are all going to be able to find plenty of different types of relics without too many issues. In the Garrett Ace 400 Review we reveal a couple of exciting new features compared to the Garrett Ace 250 Metal Detector we reviewed below. The most obvious is the 11-inch DD Pro-formance coil that comes standard with this new detector as it was quite popular in the Ace 350. The larger coil increases depth detection and the DD configuration increases lateral detection meaning the coil sweeps a larger area with each pass. The Garrett Ace 400 Metal Detector operates at a higher frequency (10 kHz as compared to 6.5 kHz of the 250) meaning it is better able to detect smaller low conductive targets like foil, nickels, gold, and pull tabs. Both the Ace 250 and 400 utilize 12 target identification segments, the Garrett Ace 400 incorporates 5 iron discrimination segments instead of the two found on the 250. The new Garrett Ace 400 also has exceptional iron discrimination, new salt water capabilities and the deepest searching coil ever but still retains the same strong and lightweight design that has made them so popular. You have preselected modes you can use to target only what you are looking for. The modes are Jewelry, Relics, Coins, Zero (All Metals) and Custom. The Custom setting gives you the ability to set up a custom mode to discriminate items you don’t want to find and only find objects you do want. I highly recommend you go through the manual and videos before you start so you know what to do and how to do it. It will take a while to get used to the different tones and the best way to do this is to bench test the detector with a range of different metals. Further down is a video showing you the process. Another great feature of the Ace 400 is the Pinpoint button – how this works is once you have found something you push and hold the pinpointing button while swinging from side to side and once you get the strongest tone and also all the top row of segments are lit that’s the spot to start digging. Below is a pic of the Ace 350 display showing all the different controls. In a word, Yes. The Ace 400 has a range of standard features you would only expect to find on detectors costing into the $1000 range. It is well thought out and very well constructed – also its made in the USA by the Garrett company who have been in business since 1964. You don’t stay in business that long by producing below par detectors. Many of the features of the GTI and GTAx models have been successfully carried over to the Garrett Ace 250 to produce a rugged and easy-to-use detector for the outdoors. The Garrett Ace 250 offers great performance without complex adjustments and settings. The outstanding technology built into this latest offering includes custom notch discrimination, adjustable sensitivity, pinpointing and depth settings. It also features excellent detection depth, accurate target ID and discrimination. 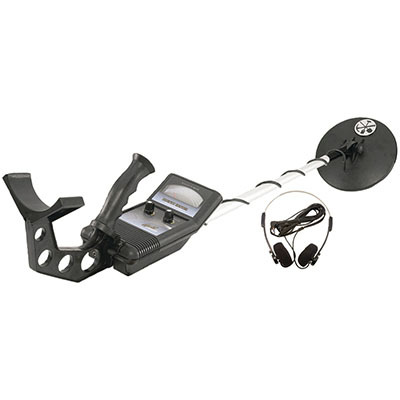 The Garrett ACE 250 Metal Detector is easy to assemble, has an easy to read display, great features, is lightweight and sensitive. The digital instrumentation provides accurate information and the depth perception is spot on. Battery life is estimated at between 20 to 40 hours from the four AA batteries depending on usage. The Garrett Ace 250 is great as it allows you to specify what type of objects you would like to find. Once you get a tone that the detector has found something metal you just press the pinpoint button for a continuous tone which then increases in volume as you get closer. This detector comes with a padded hand grip and adjustable arm cuff, easy push button stem adjustment and an instructional DVD. Do yourself a favor, read the instruction booklet and watch the DVD to familiarize yourself with the device and to ensure correct usage of the many features. There were two issues that some users raised and they are the lack of a volume control (as the volume is quite loud) and that the shaft was a bit wobbly. Both these issues can be resolved using one’s ingenuity. You’ll be able to find a ton of relics, coins, jewelry and gold with the Garrett AT Pro detector as it has been designed to work in ALL terrains. It is a detector you should master in no time if you follow the instructions in the manual and video. The Control Housing is waterproof allowing this detector to be submerged up to a depth of 10 feet or 3 meters. The advanced features of the Garrett AT Pro are designed for the more advanced treasure hunters but the beginner will be able to learn by just using the standard modes. The detector operates at 15 kHz making it the ideal detector to use for finding coins, relics, coin caches, jewelry and gold objects. Most cheaper detectors cannot differentiate between composite metals but the AT Pro can fine tune to a degree where you almost know what you have discovered. The 8.5" x 11" DD PROformance coil is able to detect objects at depths up to 10 inches or deeper, it has a wide coverage area and can be used in virtually any type of terrain. The iron discrimination has settings from 0 to 40 which will allow you to separate the valuable targets from the trash targets. The iron audio feature allows you to hear the discriminated iron targets tones giving you even more ability to avoid the rubbish. With the Proportional Audio and Tone Roll Audio you also get distinct audio tones to help you pinpoint a variety of different metals. The AT Pro has automatic and manual adjustable ground balancing features. 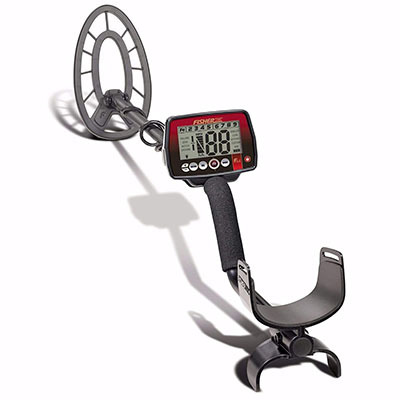 This model is the first Garrett metal detector to feature a Digital Target Identification scale. This helps to identify buried targets with pinpoint precision. Thetargets show on the LCD display with numbers ranging from 1 which are the most ferrous and go up to 99 which are the most conductive items. You have the LCD display which shows you the numbers from 0 to 99 and the 20 target ID cursor segments (12 for notch discrimination). Right next to the ID cursor segments is the Coin Depth Indicator to show the depth of the target. To the left of the Coin Depth indicator is the Battery Condition Indicator showing you the exact battery life available. This is a fantastic package for the price and you’ll be saving a ton of money. This detector is absolutely ideal for advanced treasure hunters and beginners alike. It is very easy to learn the advanced features as you progress and the amazing features provided would normally only be available in detectors costing upwards of $1000. Very highly recommended! The Bounty Hunter Gold Digger Metal Detector is a bestseller on Amazon for some very good reasons. It is a great metal detector for those just starting out, for kids and for people who are starting to take the hobby a bit more seriously. The stylish Gold Digger will help you find precious gold and silver and all types of metal items such as coins, jewelry and household items. It is compact and designed to detect large objects up to 2-feet deep and coin-sized objects up to 6-inches deep. This metal detector is made of lightweight materials and also has an ergonomic handle meaning you will be able to dedicate hours to sweeping it around without getting tired. 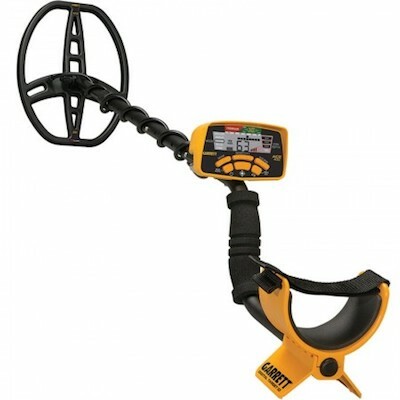 The Bounty Hunter Gold Digger Metal Detector is not difficult to use compared to some of the more advanced detectors. It is as simple as switching it on and you’re good to go. The main feature is the Trash Eliminator dial which prevents the detector from finding useless items like cans or nails. The metal detector sounds a tone to alert the user when it comes across a metal item. The detector operates on two 9 Volt batteries which should last a good time before they need replacing. When using the headphones the tone can be loud as there is no volume control. Be aware. 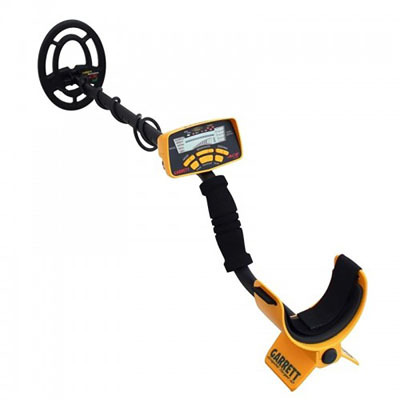 The Bounty Hunter Gold Digger Metal Detector is really good value for money and a great starter detector for those just starting out and for kids. Don’t get me wrong this detector is a favorite with a lot of people who are just happy to be able to do a bit of detecting without blowing the budget and without being the serious hobbyist. It may be basic but it does exactly as it says on the box and that pleases a lot of users. Are you looking for a durable, high-quality metal detector? If so, you have to consider the Fisher F44 Metal Detector. This is one of the best metal detectors on the market and it doesn’t cost a fortune. This device belongs to Fisher’s F-series and is the top of the range model. It features a back-lit monitor that enables you to hunt in even the darkest conditions. The F44 offers extended coverage due to its redesigned semi-elliptical search coil. It is very easy to use and one of its best features is that this device is weatherproof. This means that it can withstand even the harshest weather conditions without losing its functionality. You can purchase this device combined with the bonus package that offers useful accessories as well as discounts for future products. Lightweight at only 2.3 lbs. 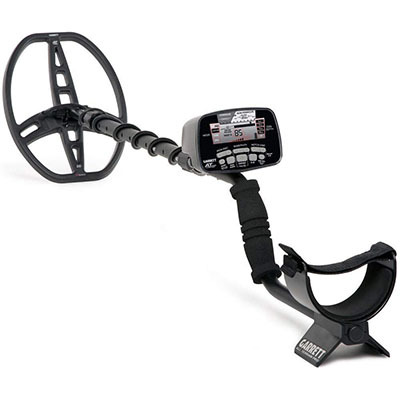 The Fisher F44 is a very capable metal detector that can be used in any environment. This device is weatherproof and features 5 different operating modes. The identification sound includes four different modes, in order to make it easier for you to understand the proximity of your target. There is also a pinpoint mode available so you can set a specific target area to track. Another great feature is that there are 20 unique levels of sensitivity that transform tracking into an effortless activity. Last but not least this device is very lightweight and you can carry it around easily without tiring. As a possible buyer, you have to know the difference between weatherproof and waterproof. This metal detector is weatherproof, which means it is resistant to rain, sleet, snow and high wind. You can use this device in wet and dry conditions without experiencing any problem. These characteristics enable you to use this device in harsh weather conditions, where other metal detectors are literally useless. Regardless of the weather, the F44 is a trusty companion. In the development phase of this product, Fisher used the best treasure hunters around the world in order to make sure this product was rock solid. You can set your Fisher F44 metal detector to any of the following modes: coins, artifact, jewelry, all metal and custom. Depending on the mode you are in, the sensitivity is set to a specific level in order to make your search easier. It doesn’t matter what metal object you are looking for as long as you are using the right mode. With this device, you have the ability to set a specific target area, so you can maximize your chances of finding something valuable. You can also use this function in order to save a specific location for later. This function can yield more specific information about the shape and size of your target. The Fisher F44 is easily one of the best metal detectors on the market, especially when you consider its price level. It is very durable and extremely easy to use. No matter the weather conditions, this detector will always perform. Also, it is very lightweight and offers many tracking modes. You will definitely be satisfied with this purchase. If not the company offers a 5-year limited warranty in order to make your purchase hassle-free. I cannot recommend the Fisher F44 Metal Detector enough. Whether you want to track metal objects such as coins or jewelry or you are just looking for the next adventure, this detector will always give you great results. It is definitely a reliable, all-around metal detector. Metal detecting can be a lot of fun. If you are serious about getting involved in this great hobby then be sure to search around for any other local treasure hunters in your area. Quite often if you live in or around a major city you will find plenty of other people who will share your interest and they will often have great information on some excellent hunting areas. I also find that treasure hunting with a group of friends make my time so much more enjoyable as you have someone to talk to about your finds and you can share in each others successes. Before you race off and start digging up every little bleep you hear, make sure that you have the land owners permission to start detecting and digging on their land. You will find that most countries have specific laws regarding metal detecting, and you don’t want to end up copping a fine for not obeying the local laws.